ALEXANDRIA, VA (January 7, 2015) – Announced today, Dr. Hans-Peter Wild, German entrepreneur and innovator of the beloved international Capri Sun drink, has donated $16.5 million to the Marine Corps Scholarship Foundation, America’s oldest and largest provider of need-based scholarships to military children. The donation is the largest one-time gift in the Foundation’s history and will provide direct scholarship support to more than 3,000 sons and daughters of U.S. Marines and Navy Corpsmen over the next 10 years. The Wild donation of $16.5 million is a major financial milestone for the Marine Corps Scholarship Foundation, the only national scholarship program providing dedicated support to children of Marines and Navy Corpsmen. In addition to the need-based scholarships, Wild’s gift will be directed to the development of new programs and services tailored to better serve the evolving needs of today’s military families, particularly those of wounded and fallen Marines. About the Scholarship Foundation: Established in 1962, the Marine Corps Scholarship Foundation is the Nation’s oldest and largest provider of need-based scholarships for military children. 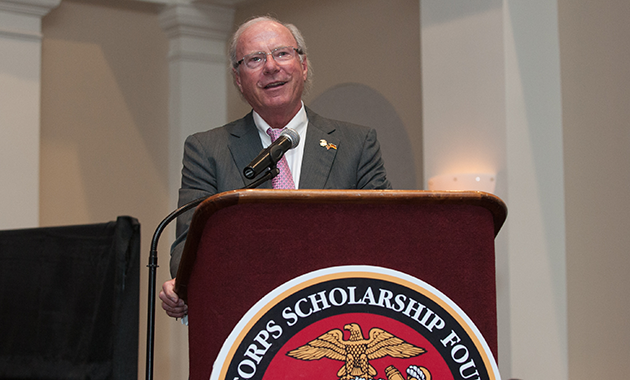 Since its inception, the Scholarship Foundation has provided over 35,000 scholarships valued at nearly $100 million to the children of Marines and Navy Corpsmen. For more information on the Marine Corps Scholarship Foundation, please visit www.mcsf.org.